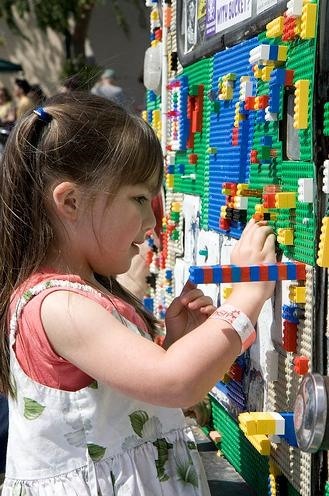 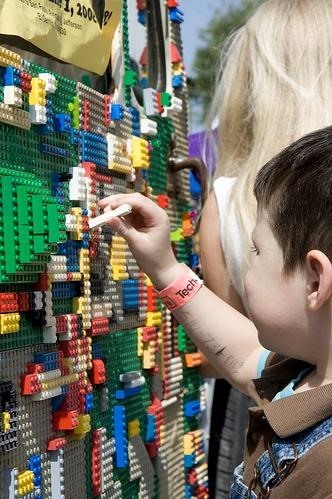 Kevin Mathieu of California offers this interactive ART piece for rent at kids or adult parties. 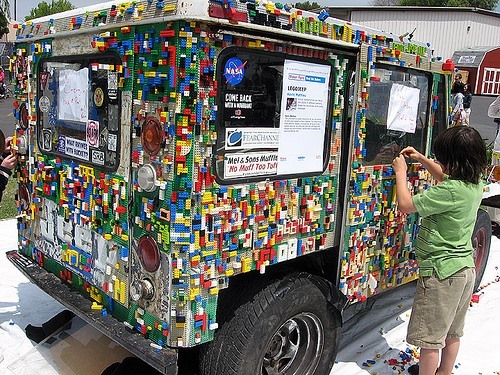 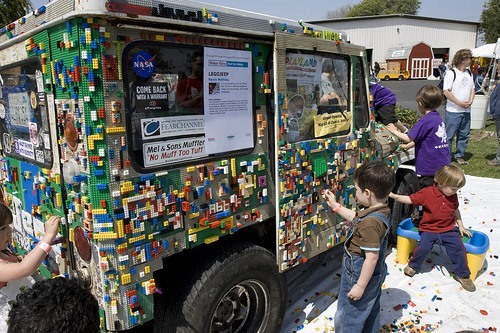 Based on a US Postal Jeep, this LEGO jeep is equipped with LEGO surfaces throughout its shape to stick LEGO's to. 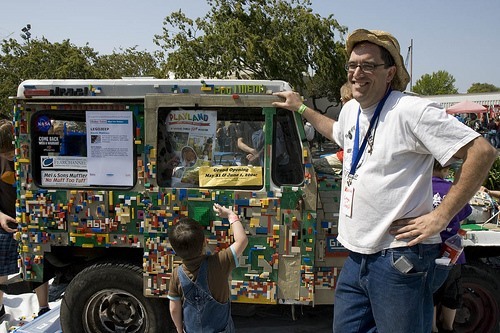 After writing a 40 page art proposal LEGO gave Kevin 600 lbs of LEGOs, but he is still looking for more. 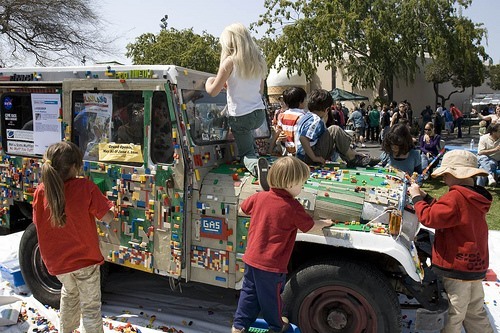 So if you live in the San Francisco Bay Area be on the lookout for the LEGO JEEP. 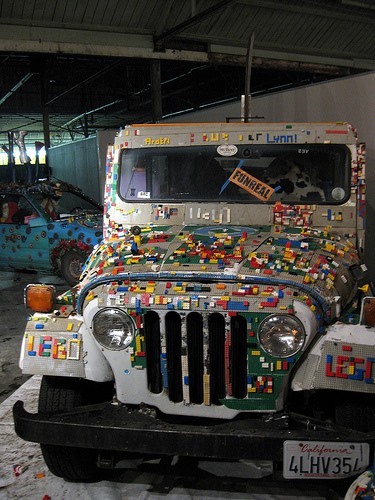 Below is the only video I could find online with the Jeep (sorry for the poor quality).